California State Flag. The Historic Bear Flag was raised at Sonoma on June 14, 1846, by a group of American settlers in revolt against Mexican rule. The flag was designed by William Todd on a piece of new unbleached cotton. The star imitated the lone star of Texas. A grizzly bear represented the many bears seen in the state. 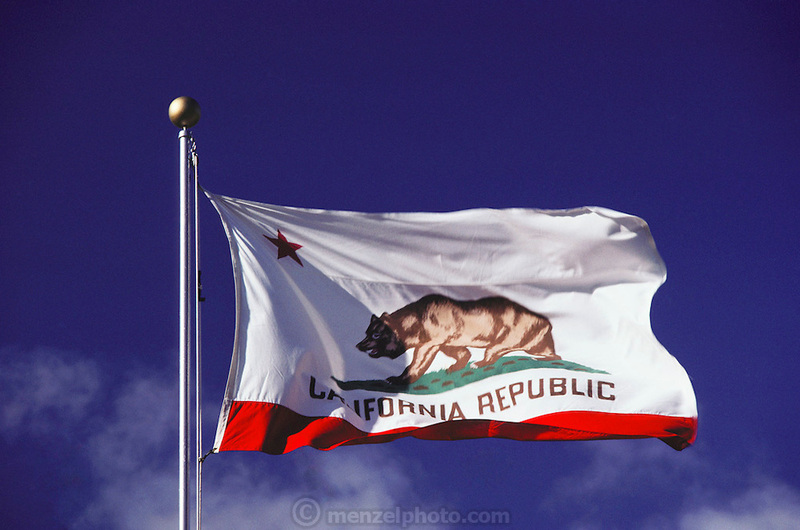 The word, "California Republic" was placed beneath the star and bear. It was adopted by the 1911 State Legislature as the State Flag.